A world of discovery awaits on the White Isle for adventurers both young and old. With its climate, landscape and beautiful sea, many families flock to Ibiza to enjoy some Balearic bliss. It's the ideal holiday destination for families large and small, whether you have young kids or older ones. Once on the island, there are a wide range of activities on both land and water to keep adults and youngsters alike entertained. Here is our selection of seven of the best of them for you and the family to enjoy the island to the max. 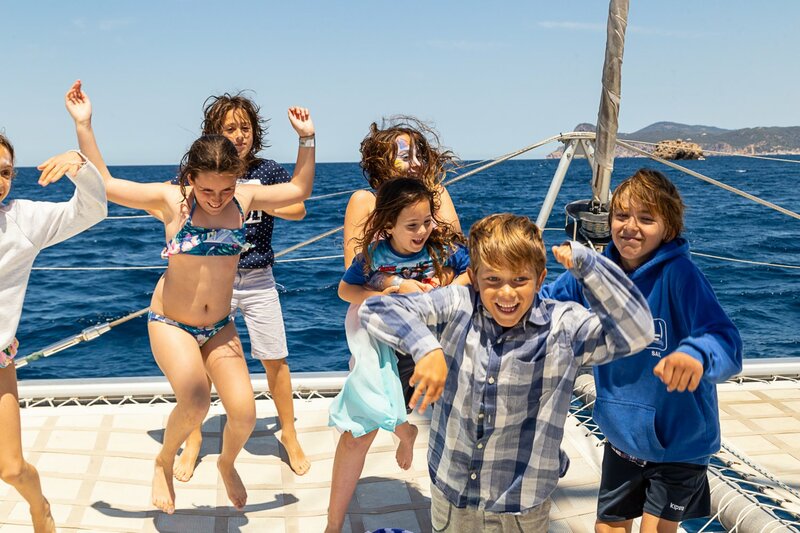 New for 2018, the Oceanbeat Catamaran daytime trips are the ideal way of seeing the west coast's abundance of gorgeous beaches, like Cala Bassa and Cala Conta. With several swim and snorkel stops, you can take the choice of diving into crystal clear waters or just recline and enjoy the moment. The trip is soundtracked by chill-out music and '80s classics; there's even a paella cooking demo which everyone gets to eat. Espalmador is an uninhabited, privately-owned island just off the coast of Formentera, famous for not having a single building. No shops! Take Aquabus's traditional Ibizan boat trip over there and get back to nature away from our fast-paced modern life. Visit a Mediterranean island that's as untouched now as it was thousands of years ago. A true land that time forgot. One for budding naturalists. The Ulises Cat excursions offer the chance to get up close and personal with the Ibiza's aquatic wildlife, without getting your feet wet. Taking place every Sunday the trip to the mighty Es Vedrà, would stir the curiosity of any budding nature lover. Nestled amid the pine trees near Santa Eulalia is Acrobosc adventure land. The assault course requires perseverance, mental aptitude and endurance to complete. With three circuits of varying levels of difficulty, there are options for everyone from ages three upwards. Navigate a variety of obstacles, including tightropes, zip slides and cargo nets. This is two and a half hours of adrenaline-filled fun, regardless of how old you are. You can be your own captain with Ibizawind's Adventure Yellowboats. Its fleet of four metre, 15 horsepower Zodiac boats are small enough that they do not require a licence to pilot. Its island experts will even give you the best advice on which areas to visit. The boats are designed with ease of use in mind, meaning no previous experience is required. Located on S'Estanyol beach in San Antonio Bay, Ibiza Watersports offers a selection of inflatables for thrill-seeking adventurers. As well as old favourite the banana boat, other options include the tornado and the flyfish. A speedboat will zip you across the water at lightening pace, so hold on tight. In total there are ten to choose from, so you could easily speed an entire day testing them all out. For those who don't want to be on their feet for a day, the Tourist Train is the ideal way to see landmarks, lovely rolling countryside and gorgeous beaches, with your feet up. Going from several family resorts such as Es Caná, Cala Llonga and Santa Eulalia, they are great to hop on and let the world roll by. Get some great snaps for Instagram next to traditional finca farmhouses or pretty villages. Better and faster than a postcard and you are actually in it.